​Thumbsie has launched its own story book to help children to give up sucking their thumb or finger, a habit which can create lasting dental problems. ‘Thumbs Up for Ted’s Thumbsie’ is designed to accompany the child friendly thumb or finger glove which has proven so effective in helping children to give up sucking and prevent unnecessary and expensive dental treatment. Dentist Dr Neil Harris has recommended Thumbsies to a lot of child patients and parents have said that they were very impressed by how quickly the habit disappeared. 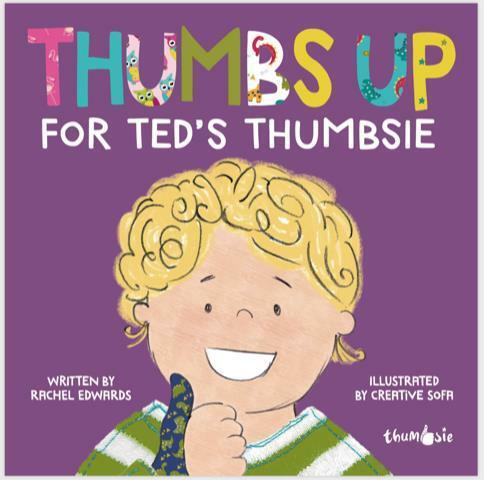 Ted, the hero of the book is determined to give up sucking his thumb before he starts school and the story tells the tale of his efforts to do just that and how he goes on to help other children who are struggling with sucking too. The story sees him transform from a worried pre-schooler into a confident and thoughtful school pupil, all with the help of a dinosaur Thumbsie®. The book has been carefully designed around the Thumbsie brand, by designer Lisa Miles of Creative Sofa and the story written by Rachel Edwards, a long-term friend of Jo Bates, owner of Thumbsie. ‘Thumbs Up for Ted’s Thumbsie’ will be available in January and would be an ideal addition to any waiting room. For your waiting room copy, email Jo on hello@thumbsie.co.uk. Child abuse and neglect is a reality – are you and your team aware of all the signs?